First of all, let’s make it clear because I’ve seen Google suggest giving “capita nosing glass” as a search term. Capita is not correct, it’s Copita nosing glass for whisky. I compared Glencairn’s Copita nosing glass with their excellent original tasting glass in a whisky tasting held by our local whisky society. I along with a buddy of mine tasted the same whisky from both Glencairn glasses. We found out that Glencairn Copita glass does not give aromas as well as the original Glencairn does. For some reason, Glencairn has shaped its Copita in a different way than the original. And it’s that similar shape of the traditional Glencairn whisky glass, that you have to be looking for when buying Copita whisky glass. Many times I’ve wondered why Glencairn hasn’t used the same brilliant glass shape in their nosing Copita glass design. 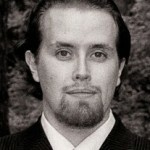 Check the original shape from this article. 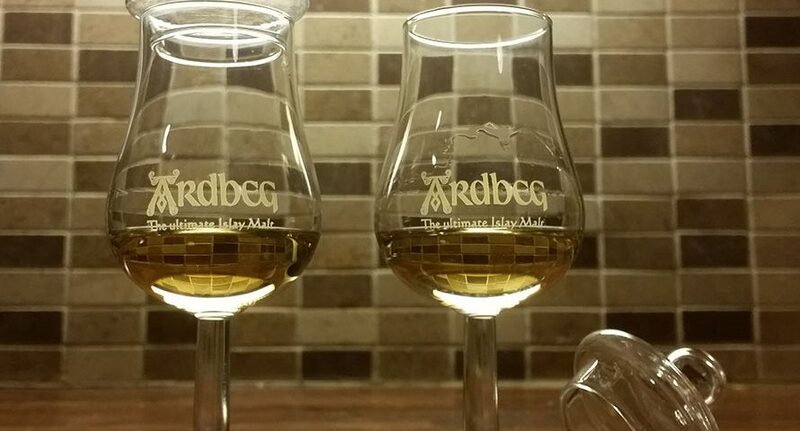 For example, I have two Ardbeg’s branded Copita glasses (don’t know the manufacturer). Those whisky glasses (featured in this article’s main photo) are shaped the same nice way as Glencairn’s original whisky glasses. That’s why my Ardbeg glasses are my favorite ones, giving away the aromas most profoundly while having the practical neck to hold on to. They also came with a lid, which is excellent for peated whiskies. A lid keeps the aromas well, if you want the dram to rest in the glass for a while. Especially smoky and strong peaty whiskies might lose their aromas, if left in the glass for a long time. Lid captures the strong aromas a bit longer. Amazon offers nice Copita glasses from different brands. Below I’ve listed the most known whisky glass manufacturers, the ones that offer Copita glasses. Riedel started designing their own whisky glasses in 1992, with a help of an Scotch whisky experts panel at Riedel’s Austria headquarters. The panel tested a range of 19 different shapes of glass. Georg Riedel had some further research made with the help of Scottish master distillers. 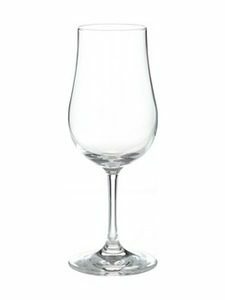 This Riedel research launched a whisky glass design which resembles nosing Copita glass a bit. As Riedel’s marketing texts state. It’s shape design has a small, slightly outturned lip directing liquid gold onto the tip of the taster’s tongue. 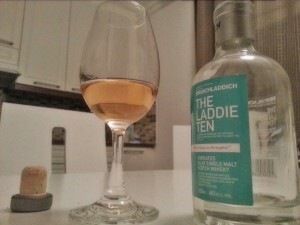 As Riedel says, right there where the sweetness is perceiving, and serving “to emphasize the elegant creaminess of top quality single malt whisky”. Spiegelau offers two differen types of whisky glasses. They have the Single Barrel Bourbon glass, which is kinda like Glencairn’s Canadian mixer – a tulip shaped tumbler. Then they also provide a good nosing Copita whisky glass called Whisky Snifter Premium. I have no experience with Spiegelau’s Snifter glass, yet the shape of the glass looks nice to me. It has an outturned lip similar to Glencairn’s traditional nosing glass. So the shape seems good, just like the long neck which makes it almost 20 cm (7,5 inches) tall. Which is the way I prefer my Copita glass to be. Long height with an easy to grab neck, along with that nicely outturning lip of course, makes this glass quite enjoyable in my book. Spiegelau says that this Copita whisky glass suits best for great single malts and bourbons, but surely you can try any kind of whiskies in it. I always like to try cheap blended whiskies with luxury glasses. Just to get to know the dram a bit better – just in case there’s any good aromas hidden. According to Spiegelau, their whisky Snifter glass has improved breakage resistance, exceptional durability, brilliant clarity and it’s safe for dishwasher use. These are statements that often are presented with all products coming from a reliable manufacturers of whisky glasses. Schott Zwiesel is quite famous for the durable Tritan Crystal that they provide. The German innovator of glass production has been revolutionary in its business – they created the first machine made stemware and lead-free crystal glasses. Their Copita whiskey glass is actually pretty similar to Spiegelau. Schott Zwiesel surely is a good contender in the world of whiskey glasses. Suits well for any type of whiskey too. Schott Zwiesel’s Tritan crystal has no lead and it has been made out of titanium and zirconium oxide. Resisting breakage or chipping very well, also durable of scratching and thermal shocks.